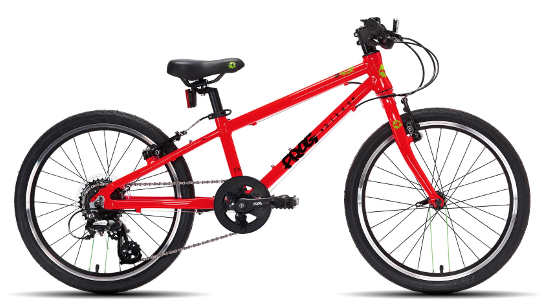 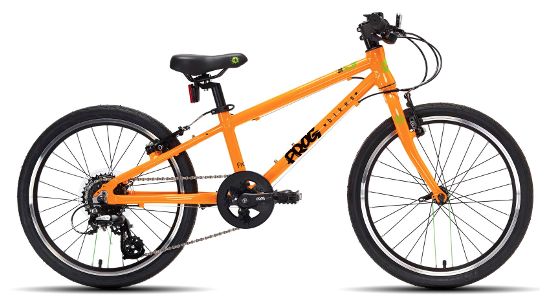 The Frog 52 lightweight kids bike has adjustable Tektro brakes, 8-speed Shimano easy-change thumb-shifters and cassette hub and is suitable for a minimum inside leg of 52cm (around 5-6 years old), it has 20" wheels.The all-aluminium bike has a high quality frame, easily adjusted saddle height and a crank length of 114mm. 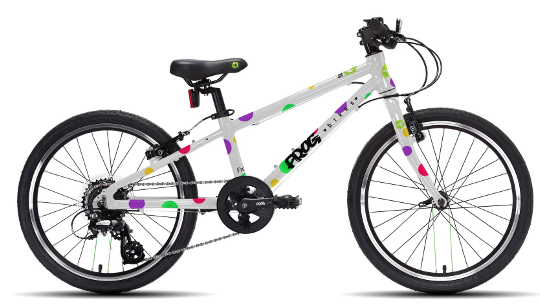 This Frog bike also comes with 2 sets of Kenda tyres: a hybrid tyre and a more knobbly off-road tyre. Also included is a bell, reflectors and mudguards as well as a free 5 year warranty available on the frame and forks, 2 years on all other parts, when you complete a Warranty Plus application.